The importance of building amenities in commercial real estate projects is growing. Location and area amenities, as a result, are becoming less of a focus. Whether your building is in development or you are looking to make changes to existing buildings, consider your tenant population and their added value. By offering mixed-use rental spaces within a building, landlords provide value-added services without directly hosting those services. Regular tenants have convenient access to desirable services while service-provider tenants have an immediate customer base. It’s really a win-win. Although tenants may be independent entities, landlords can play a role in facilitating their interactions through the use of technology. Imagine being able to book a class at the gym, submit a coffee order, make a lunch reservation, schedule child care, schedule a massage, and more, all from an app on your phone. This adds tremendous value and convenience to everyone in the building and improves the value of rental space. Amenities also help to build a sense of community. Whether a commercial building contains primarily residential units or office space, the addition of retail establishments and other services bring people together. People see familiar faces, develop friendships, and share experiences. The building becomes more than a rental. Tenants are less likely to vacate when they establish social roots. As a landlord, you must continually find ways to compete. Understanding the importance of building amenities in commercial projects is key to doing so. 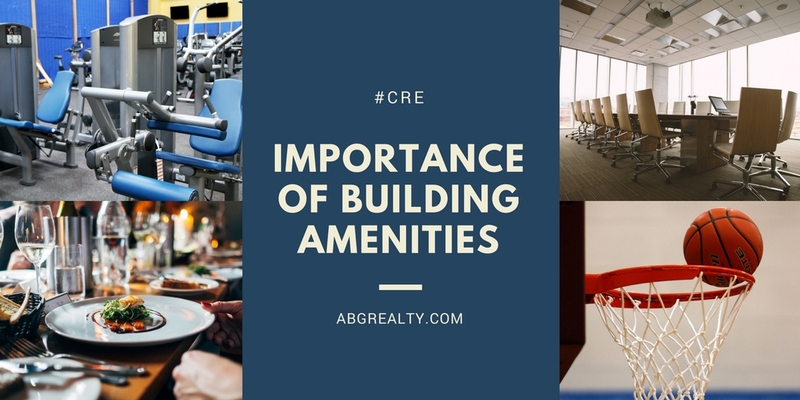 Amenities, among other things, are a way for landlords to set themselves apart, to provide value, to reduce vacancies, and to charge more in rent.